Win a Playstation 3 how? 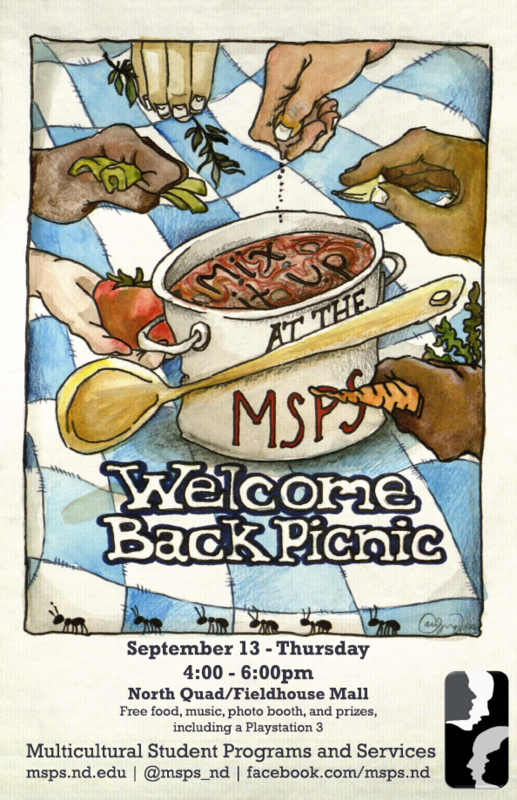 Check out the MSPS Welcome Back Picnic this Thursday, September 13th from 4-6pm on North Quad for a chance to win a free Playstation 3. Of course, we’ll have free food, free music and dancing, and a free photobooth, as well. Along with more giveaways and prizes. The Welcome Back Picnic is MSPS’ annual picnic-style, large-scale event for over 1,000 folks and welcoming all students, faculty, and staff back to Notre Dame for the start of another school year. Absolutely everyone is invited. 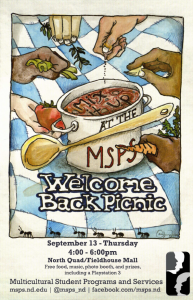 The picnic also provides an opportunity for MSPS and its campus partners and clubs to share information about our missions, goals, and upcoming events. MSPS exists at Notre Dame to strive always for racial equity and social justice. And there isn’t a better way to usher in a new year and to organize and to confront new challenges together than with a giant picnic on North Quad, one to which absolutely everyone is invited. You are welcome here always.